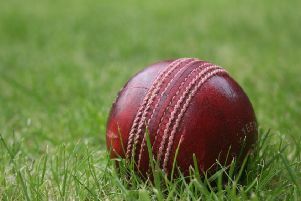 Barkby United fell one wicket short of victory as they took 17 points off Kegworth in the Premier Division clash on Saturday. After being put in by the visitors, Barkby’s innings started poorly when Louis Botting was bowled for 13 with the score on 19, and four runs later Stapleford-Jones was adjudged lbw for six. Ben Silver and Steve Flowers put on 83 for the third wicket before Flowers was caught on the boundary for 40. Barkby lost a further three wickets, Tom Flowers for eight, Scott Moore for six, and Aiden Morris for 0, and Silver’s valuable innings ended on 58, leaving Barkby 152-7. Young Matt Bartram came in and played well for his 33, putting on a valuable 56 for the eighth wicket with Jamie Drake before Bartram was bowled. Sharp chipped in with 21 before he was the last man out as Barkby were bowled out for 234 in the 49th over. Kegworth got off to a good start when their openers Meads and Williams put on 63 for the first wicket before Botting had Meads lbw for 17. Ashcroft and Kegworth’s overseas player Brent Williams added 91 for the second wicket to leave the visitors in a good position. Scott Moore then came into the attack and had Ashcroft caught by Bartram for 24. Williams reached his century in the 34th over, but in the next over was bowled by Morris for 105. After Williams’ departure Kegworth’s innings fell apart with only Grieve (10), Fletcher (11) and Murty (29) reaching double figures. Moore returned to the attack and had Murty caught by Steve Flowers, while Sharp bowled Grieve and Morris had Fletcher lbw to reduce Kegworth to 209-6. The game came alive when Moore took three wickets in the 50th over, but Kegworth’s final two batsmen batted out the last over to close on 220-9. On Saturday, Barkby travel to Lutterworth. Bowling: L. Botting 8-1-35-1; A. Morris 10-1-39-2; C. Sharp 10-0-38-1; J. Drake 10-1-35-0; A. Barcha 3-0-23-0; S. Moore 10-0-46-5.